To mark this year's Belgian National Day, the Belgian Beer Café in Melbourne invited seven Victorian breweries to create Belgian style beers to be launched at the same time. Among the seven was 3 Ravens, who brewed enough of theirs to release it in draught and bottle form after the event – the second of five new beers coming out of the Thornbury brewery in five weeks. 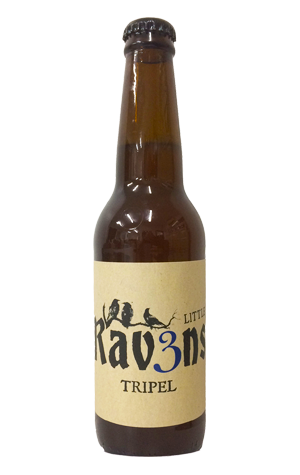 The Tripel uses the Belgian/Canadian yeast strain that originates at iconic Canadian brewery Unibroue, with the water, malt and hops there in supporting roles to allow the yeast's remarkable character to shine through. When we had a sample from the tank before the beer was finished and low in carbonation, the aromatics were subdued, leaving us totally unprepared for the explosion of flavour on the palate: soft, sweet malts, banana, peppery spice and the like, all carried in a typically fulsome (and 9 percent ABV) Belgian ale body.